What an amazing revival! The Jewish people had been living in exile and returned to Jerusalem. They’ve not been following the ways of the Lord, let alone reading the scriptures. Isn’t this a beautiful picture? Ezra, a scribe, reads the scriptures (scrolls) and they are reminded of God’s ways, some maybe even hearing for the first time. Verse 7 tells us that Ezra had assistants or helpers that helped him teach and explain it to the large crowds of people. I wonder what that looked like. Ezra was standing on the makeshift podium and were his helpers next to him…and after each section they would take turns expounding? Or did Ezra break the people into groups and they would have mini-small group discussions? We know this is a revival because the people actively responded and turned their hearts toward the Lord. 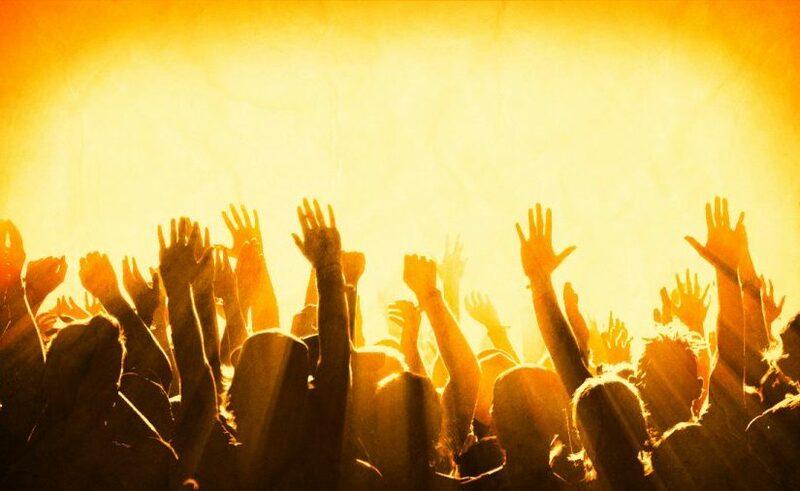 “And all the people answered Amen, Amen, and lifted up their hands” (verse 6), what a sight! They recognized how far they have fallen away from God and are weeping with remorse and sorrow for their sin. What a picture of God’s grace… instead of them wallowing in their self destructive sin, God uses Ezra and calls them out of it. Go, be merry, celebrate your heart change, help others. Keep reading, keep celebrating! Nehemiah had just rebuilt the wall around Jerusalem, the people were reading the Word – what a time to celebrate! God doesn’t want us to be stuck in a pit of shame, self loathing, and guilt. He wants us to learn and use the joy of Him as our strength to move forward. The very next morning they assembled again… and again, and again. Implementing and taking action on the things they heard and learned. They even began celebrating the Feast of Booths again – a practice that had been ignored for years and years – since the time of Joshua. They read and studied for hours, 8 consecutive days with joyful hearts – what a kickstart to renewing their spirits! Will you join me in praying for a revival? In Psalm 51, after David falls into sin, he repents and asks the Lord to create in him a clean heart and renew a steadfast spirit in him. Whether you’re a new Christian, or have been following Jesus for quite some time, I’m guessing you have seasons that need renewing and reviving, I know I do! I’m going to pray for a desire to study God’s Word like Ezra’s group did…and for people to help me understand where I’m lacking. God is ready to revive our hearts and celebrate with us! For Jesus who died and is now gone above. May each soul be rekindled with fire from above. Posted on April 13, 2019 April 12, 2019 Author Holly-Rae Van HoofCategories UncategorizedTags ezra, nehemiah, pray, preach, read the bible, renewal, revival, study, teachLeave a comment on Revival!